Wharepuni and Paparoa Whare are located at 42 and 44 Hartmount Place, 3km’s North of the Pancake Rocks and Blowholes at Punakaiki. Turn toward the Tasman Sea 100meters North of the Truman Track walk. Drive 400meters down Hartmount Place toward the ocean Wharepuni is the second to last driveway on your right before the road ends and Paparoa Whare is the last Driveway on your Right before the road end and Flax Haven. Below are some links to information and activities in the Punakaiki area. 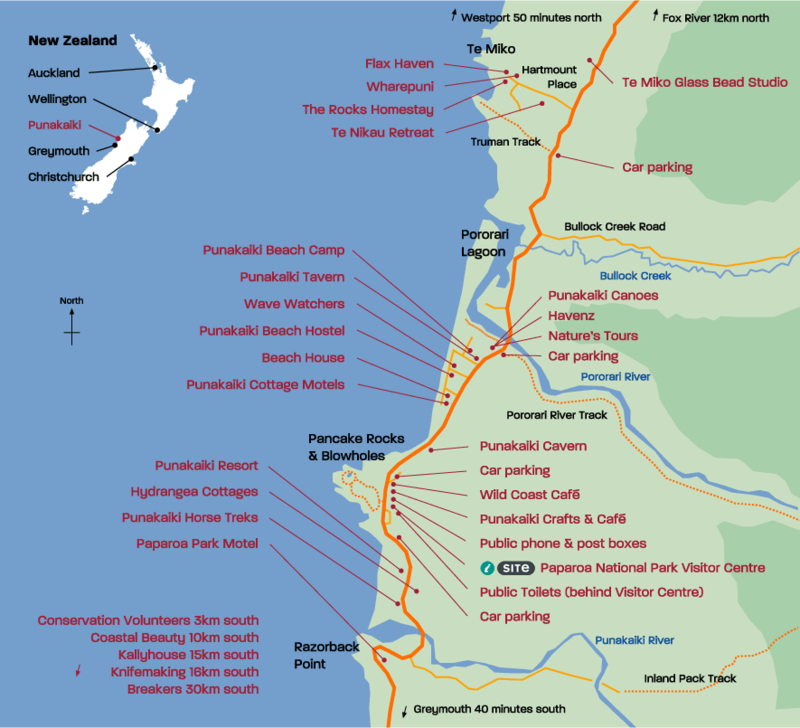 Punakaiki homepage for all activities and attractions in the Paparoa National Park. Canoeing on the beautiful Pororari river. DOC tracks around New Zealand. Horse trekking up the Punakaiki valley. Find hotels near Auckland International Airport, New Zealand.